The SmartPak Winter Overpants will be your workhorse all winter long! Waterproof and channel insulated to keep you warm in the saddle or around the barn. Synthetic suede full seat will keeping you secure in the saddle and the elastic jods to keep the legs from riding up. Two-way zippers allow for you to easily put the SmartPak Winter Overpants on over layers. Elasticized waistband is flexible to accommodate how ever many layers you're wearing! Belt loops and front pockets. Pair it with the SmartPak Winter Jacket for the ultimate in winter warmth! Please note that measurements should be taken at natural waist. Asmar All Weather Rider Coat-Ltd. Edition- Clearance! 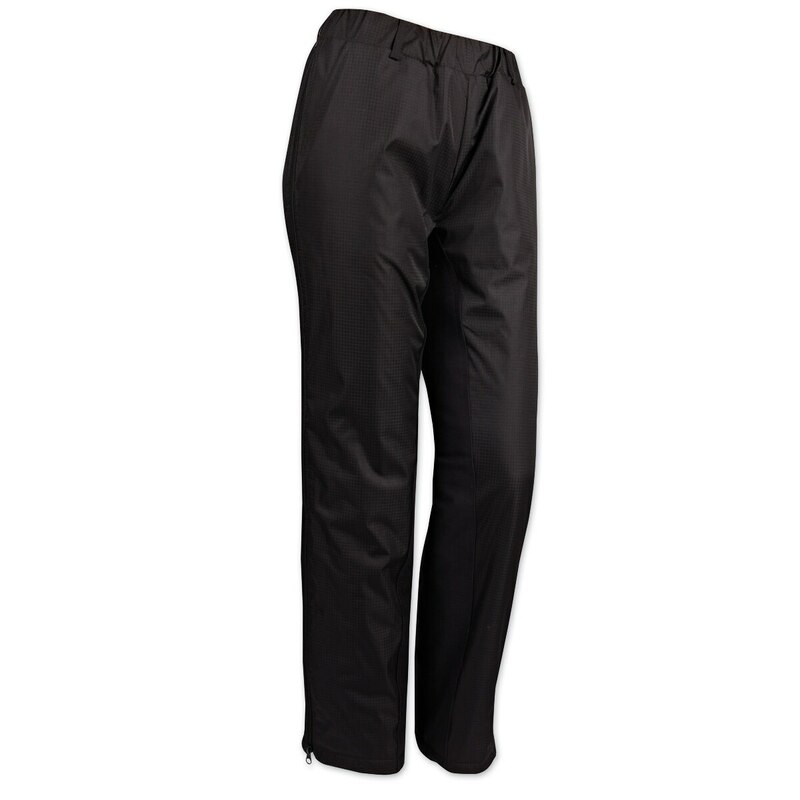 SmartPak Winter Overpant is rated 4.1 out of 5 by 137. Rated 5 out of 5 by Becky from Warm and comfy Just rode in these first time today - 26 degrees here. Kept me nice and warm. And I ride in a western rough out saddle - so was like velcro! Very secure seat, unlike when wearing long underwear, or regular coveralls. I wear a size 5-6 in jeans and the small is perfect. Seems like they should hold up well, hope so! Rated 5 out of 5 by mkcampbell from Love love! I bought these last year and they have kept my legs warm and toasty for feeding time during the winter months. Even with a negative wind chill, my legs were still warm. I wear fleece lined leggings underneath or Piper breeches. I give the quality 4 stars because they ripped in the crotch when I knelt down. However! Smartpak let me exchange them for a new pair and I haven't had any problems since! Rated 3 out of 5 by gilla from Super warm but looks and feels like a diaper! I really like how warm these are- it's essential in the brutal Midwest winters. I also like that they unzip down the whole leg. However, I think they could be less bulky in the inner leg. I feel like I am walking in a giant diaper. And it looks like it, too! Another suggestion is that they should have zipper pockets somewhere. That's another thing that is essential in Midwest winters. Otherwise things fall out into the snow and are not found until spring. Rated 4 out of 5 by Jozee from I like the pants. A review said to shorten them for short people. I will have to do this since I am short. It won’t be easy with the zipper. Are there any directions? Rated 4 out of 5 by Beatrice from Wonderful warm overpant! Very nice and very warm overpants. I love the complete zip from the outside from top to bottom allows a person to get into them really easily when there is mud and snow on boots. The whole pant leg fit really nicely, but the waist is proportionally quite small and I have a pretty small waist. It is elastic but I will probably need to keep the zip at the top a touch open. Rated 4 out of 5 by RidesDressage from Fit Perfect Tried them on when I got them and they fit perfectly! Unfortunately, I got them toward the end of the season and it’s not been cold enough to wear them yet. I highly recommend them though. Again, the fur was perfect! Rated 5 out of 5 by sesroh from SMART covers it! I have been searching for a pair of rider friendly over pants....with a zipper that allows me to slip them on and off over boots... waiting for end of the season sales! As a full time horse trainer in Northern New York, function and fashion are requirements. The price was so reasonable I took the leap and ordered two pair. I was NOT disappointed! The fit was roomy enough to allow for movement. The synthetic suede is soft and flexible even in the cold. I was so delighted I bought two more pair! The description on the site says NO pockets but they have nice front pockets that serve to warm hands or hold a pair of gloves while tacking. Cotton duck work gear is too heavy/bulky for what I do, and not weather proof...I would like to add my opinion comes with over 35 years in the equine industry! Rated 3 out of 5 by Allie from Warm but baggy Sadly sent them back. Seemed very warm, but they are so baggy and unflattering that I would not have used them. I wear Carhart bibs all winter long and was looking for a more professional attire, but these pants didn’t fit the bill. Rated 4 out of 5 by Kaitelorentz from Very warm!! I love These pants. The two way zipper is amazing. They’re super warm. The durability is where it is knocked for me. I’ve had them for a few weeks and have several years and rips in them. Rated 5 out of 5 by Concorde from Warm, comfortable, does the job! I bought this set of winter pants over the Mountain Horse version because the inseam fit my legs better and it was on sale. I couldn't be happier with my purchase. It was delivered on time and fits very well. The large pockets are nice (the only improvement I could suggest would be to make them zipper pockets). I am toasty warm without feeling smothered. These pants are easy to remove if you need to cool down with full length zippers on the outside of each leg--no removing boots or doing the awkward pants shuffle in the barn!